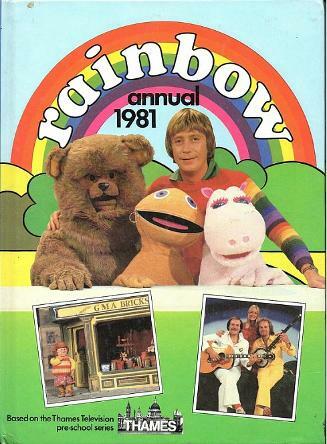 On this page you will find a selection of annuals from 1981. How many of these did you have? Although seen as a 70s TV series, the crime drama continued into the early 80s, although the rankings dropped substantially for season 5 in the U.S.
Two fabulous covers here from the front and the rear. Remember all of these presenters and commentators? From top to bottom we have Jimmy Hill, Kevin Keegan, Lawrie McMenemy, John Motson, Bob Wilson, Tony Gubba, Barry Davies and Des Lynam. Larry was the main character in the Toytown radio series which was first broadcast in 1929. However, the majority of visitors here will, no doubt, have memories of the puppet show Stories from Toytown Featuring Larry the Lamb which aired on ITV between 1972 and 1974. 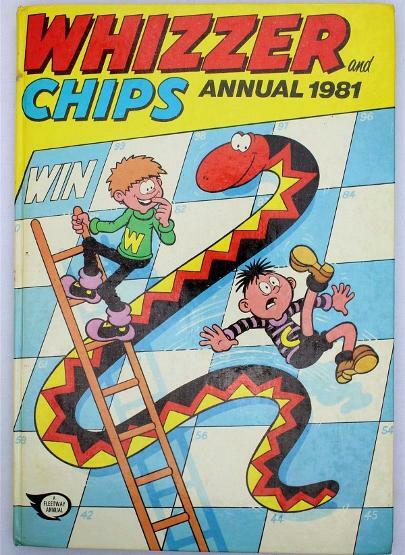 Although there were three annuals published during the 70s (1973, '74 and '75), I believe this is the only annual to be published in the 80s. In the U.S. they were already starting to move on to new sounds in 1980, but die-hard disco fans were determined to keep the fashions and sounds alive into 1981. This British annual from Brown Watson featured not only popular disco acts, but also mainstream pop artists such as Rod Stewart and Showaddywaddy which shows how desperately short of disco-related material they were to fill its pages. 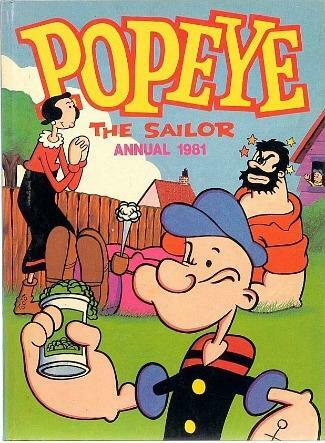 IPC (using its Fleetway banner) published numerous children's comics and annuals during the 70s and 80s, and this one stems from the original 1950s annuals published by Armalgamated Press. It featured delightful full-colour and bi-colour stories including Harold Hare, Teddy and Cuddly and Tiger Tim. The very last Jack and Jill annual was published in 1985. Back in the day, there can't have been many lads who didn't receive a Roy Of The Rovers annual at some point in their childhood. 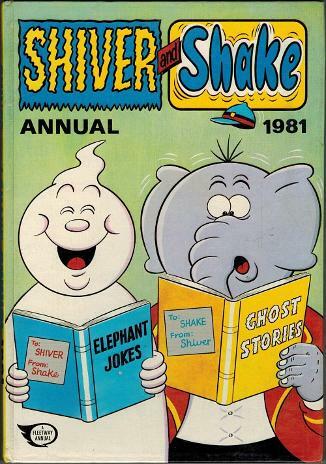 The successful weekly comic was launched on 26th September 1976 by Fleetway and it was based on the comic strips of the same name that appeared in Tiger magazine. In 1989 the comic merged with Hotshot. An unsuccessful relaunch of the Roy Of The Rovers comic (as a monthly) saw a further 19 issues produced before it was given the boot (Well, I had to slip that one in somewhere!) in March 1995. Yet another Fleetway publication, this time featuring an array of characters from Disney. The annual's main focus was on colourful stories and amongst these were Alice in Wonderland, Naughty Pinnochio, Dumbo Flies to the Rescue and A New Gown for Cinderella. Also included were fun and games such as Disneyland Scribble-Time and Rabbit Riddles. There have been many TV adaptations of Johanna Spyri's classic novel about a young orphan. The one that I really remember is the 1978 Swiss TV adaptation which aired on BBC1 at teatime. 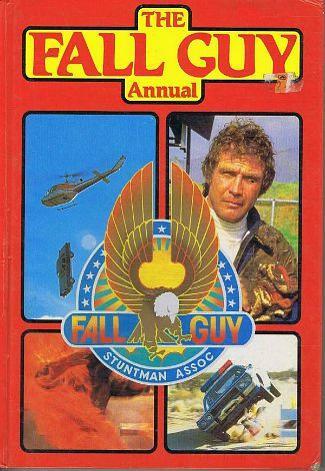 This annual is based on that TV series and an annual was also published in in 1982. The price was £2.25 and it featured a mix of full colour stories and bi-colour comic strips, as well as some facts about the area in which Heidi lived such as Animals of the Alps and Heidi's Homeland. This American biker cop series originally aired between 1977 and 1983, and I certainly remember watching it on ITV here in the UK, which is why, no doubt, I received this annual for Christmas from my parents. This was a pretty decent book and featured five stories, lots of colour photos, features and games to play. It was published in the UK by World International Publishing Limited. Well, I was a huge smurfs fan and had quite a collection of the little figurines which we used to collect from the National petrol forecourts. The little blue creatures first appeared in 1958 in comic books, but it was during the 1970s when they became highly popular here in the UK, and in 1981 Hanna-Barbera produced a cartoon series which ran through the 80s. It was, of course, Jon Pertwee who starred as the talking scarecrow with interchangeable heads. He would often ask Aunt Sally (Una Stubbs) for "a cup o' tea and a slice o' cake". 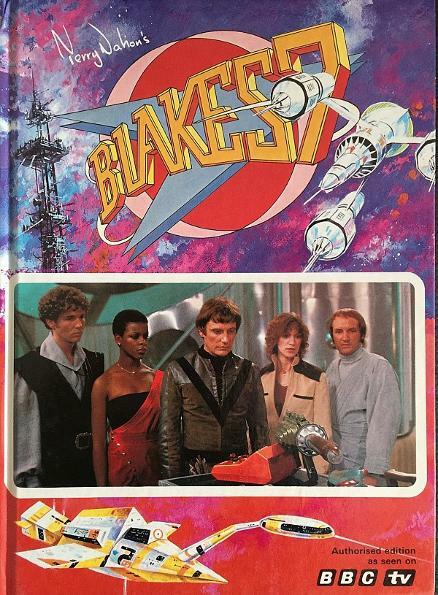 Blake's 7 was broadcast for four series from 1979 to 1981. The BBC sci-fi series was created by Terry Nation, and if you're a classic Doctor Who fan, then you'll know that he was responsible for the Daleks and you may well have one of the many books written by him.